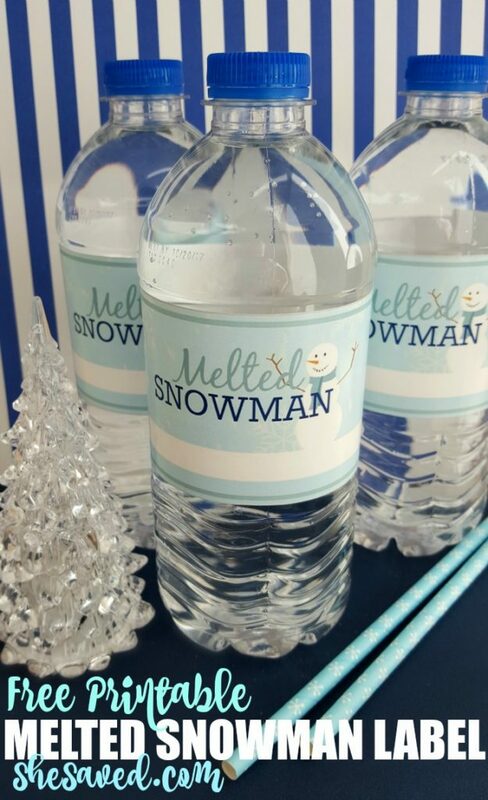 Whether or not you love the snow, or are waiting anxiously for it to leave, these fun Melted Snowman Water Bottle Labels are the perfect way to perk up a wintery lunch, classroom party or snack time. They are SO easy to do, and the kids (and adults!) will get the biggest kick out of them. I even put ours in the freezer so that by the time my kids opened their lunches at school, it really looked like a 1/2 melted snowman and they got the biggest kick out of that PLUS their water was nice and cold, which they love. 1. Remove the branded labels from bottled waters OR depending on the label, you can just put them right over existing label. 2. Print out my FREE Melted Snowman Printable. 3. 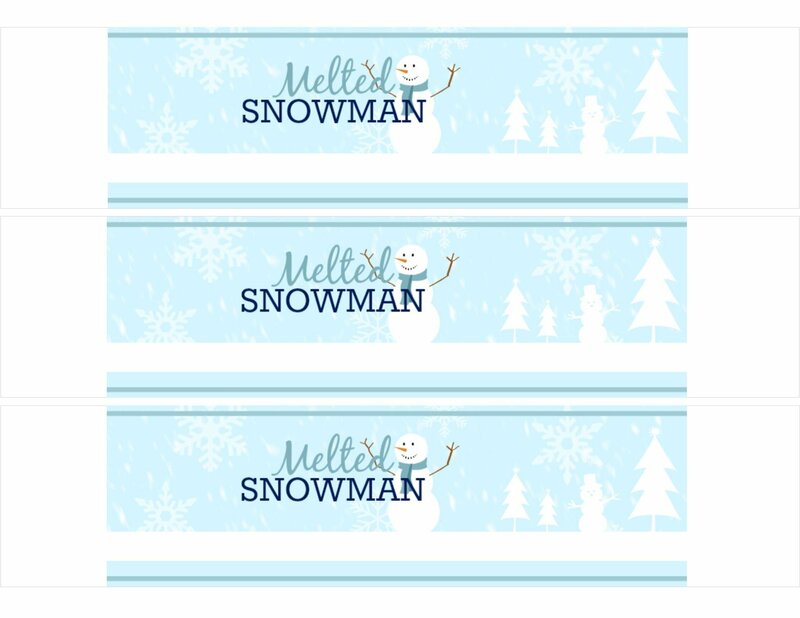 Using the light grey lines as a guide, cut out Melted Snowman Bottle Labels. 4. 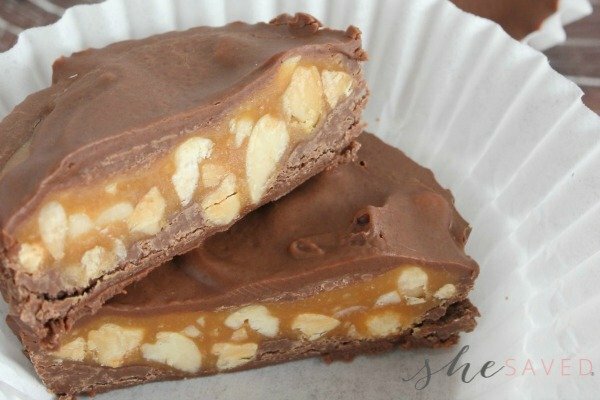 Place a piece of double-stick table on back of both ends of the label. 5. 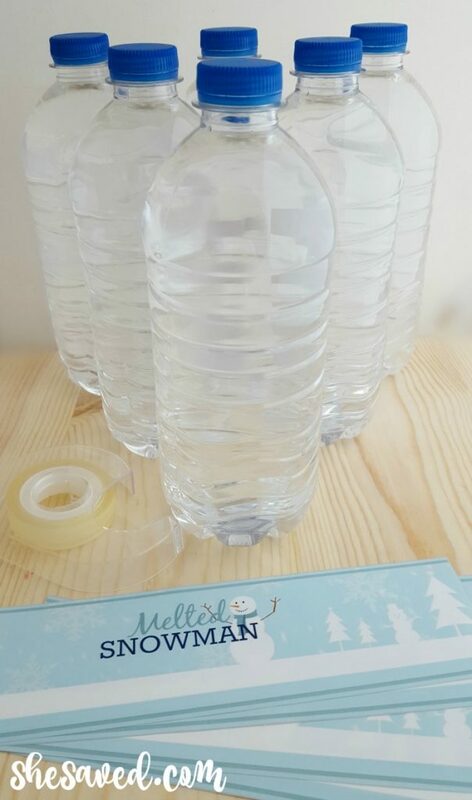 Wrap the label around the bottle water, pressing taped ends onto bottle to secure in place.